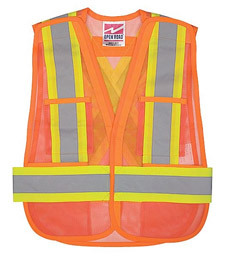 Hetronic Safety vests are designed to fit comfortably and provide confidence to the user that they can be seen in virtually all weather conditions and during day-night operation. In addition, Hetronic offers a variety of belts that attach to our broad range of transmitters. Waist belts allow the operator to keep their transmitter close by hooking into the waist belt clips. All belts will adjust for perfect fit. Check sizes available by contacting your local Hetronic office or contact an Hetronic technical support expert. For other belts contact your Hetronic expert for more information.